Oct. 18, 2016, 9:12 a.m. The Ministry of Lands and Natural Resources (MLNR) has exceeded its initial budget amount of about US$196,000 on activities relating to the drafting of Bills to about 317 per cent. The Bills, Land Bill and Land Use and Planning Bill were to cost the ministry some US$196,000 in drafting, but increased to US$816,883. A report by the Public Accounts Committee (PAC) of Parliament on the performance audit report of the Auditor-General (A-G), Phase One of the Land Administration Project (LAP-1), let the cat out of the basket. The Chairman of the PAC, Kwaku Agyeman Manu, moved the motion for the House to adopt the report of the committee (PAC) on the Performance Audit Report of the A-G on Phase One of the LAP-1. 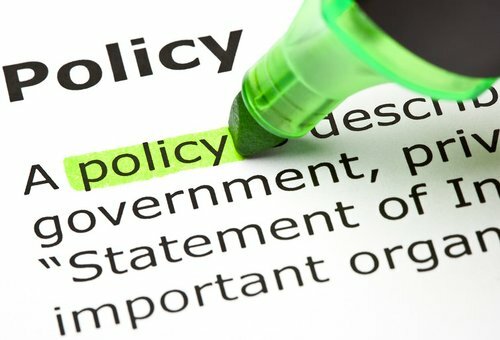 In the report, the committee observed that despite the fact that MLNR could not ensure the passage and implementation of the two bills, after spending the colossal amount of money, the Ministry defended the increase as being a result of elaborate consultations in the course of the drafting of the bills. “Officials of the Ministry explained that the budget figure of US$196,000 increased to US$816,883, as a result of elaborate consultations and processes that had to be followed in the course of the drafting of the bills,” the report said. Also the Ministry had to engage the services of a legal expert, and international and local consultants for the project, which ballooned the budget. The committee, chaired by Kwaku Agyeman Manu, said it was not pleased with the level of commitment the MLNR attached to ensuring that the two bills were presented to Cabinet for approval, and to Parliament for consideration and passage. However, the committee recommended in its report that the MLNR should “collaborate with the Ministry of Environment, Science, Technology and Innovation to ensure that the draft Land Use and Planning Bill is submitted to Cabinet for approval, and Parliament for consideration and passage, as early as possible. “As a matter of urgency, come up with clearly defined procedures (with timelines) to complete the drafting of the Land Bill, and also put measures in place to ensure that the Bill is presented to Parliament within the shortest possible time,” it stated. The performance audit report of the AG on Phase One of the Land administration Project (LAP-1) was laid in Parliament on Wednesday, 20th November, 2013, in fulfilment of article 187(2) of the 1992 Constitution of the Republic of Ghana. Phase one of the Land Administration Project (LAP-1) was initiated by the MLNR in the year 2003. 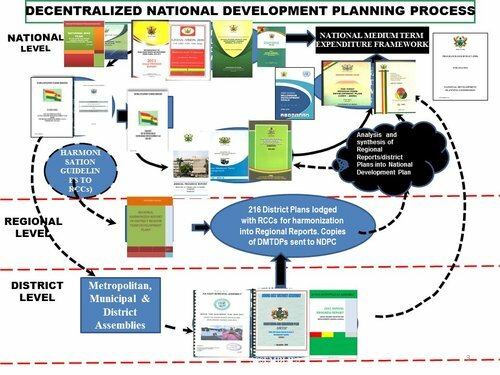 It is part of the long-term (15 to 25 years) Land Administration Programme intended to implement policy actions recommended by the National Land Policy (NLP, 1999) to deal with challenges in the land sector, such as inadequate policy and legal framework, fragmented institutional arrangements and weak institutional capacity on the part of land sector agencies, among others. As part of the efforts to deal with the challenges, the Government of Ghana, and various developmental partners, approved an amount of US$55.05 million for the MLNR for the implementation of LAP-1, from year 2003 to year 2008. 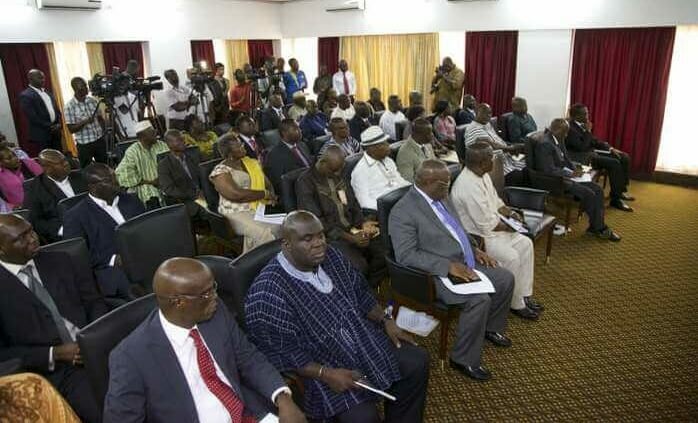 Meanwhile, the audit focused on activities carried out by MLNR in the harmonisation of land policies, institutional reforms and implementation of key land administration pilot projects in Ghana, from the year 2003 to 2011. However, the audit was carried out from August 2011 to April 2013.